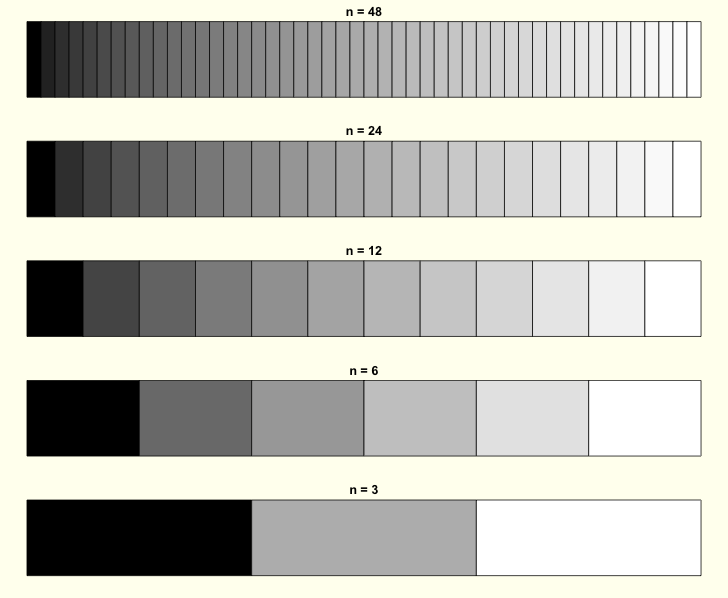 Gamma correction is required to correct for the properties of digital display terminals. It also serves to better support human vision and the way light and color are perceived. 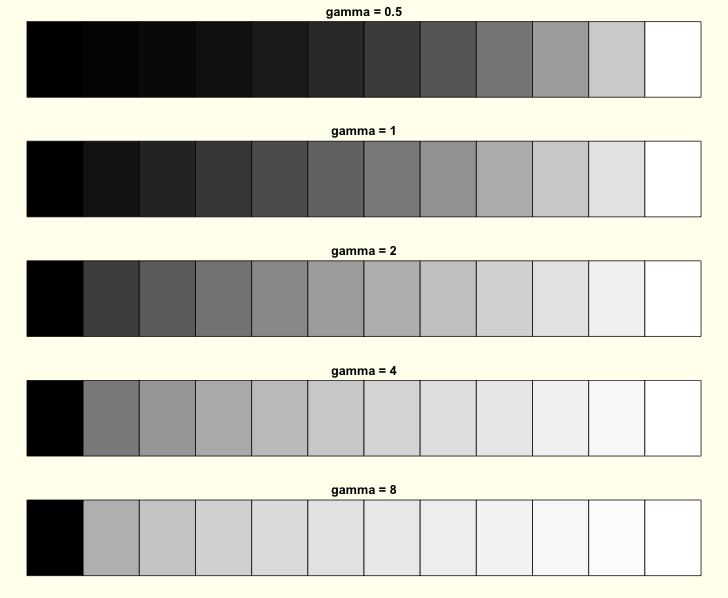 The gray.colors() function has a default gamma = 2.2.